what Happens When Retro Chic Meets Modern Engineering? The Extraordinaire By Fanimation. This Unique Fan Has A Hip, Minimalist Exterior With A Sophisticated, Intelligently Designed Interior. Unlike Ordinary Fans Which Generate Air Flow By Rotating Fan Blades Around The Fan Base, The Extraordinaire Actually Rotates The Entire Fan Around Its Base Creating A Powerful Airflow That Is Evenly Distributed Throughout The Room. The Extraordinaire Is Available In Pewter, Oil-rubbed Bronze, And Satin Nickel Finishes With A Black Finish Cage. 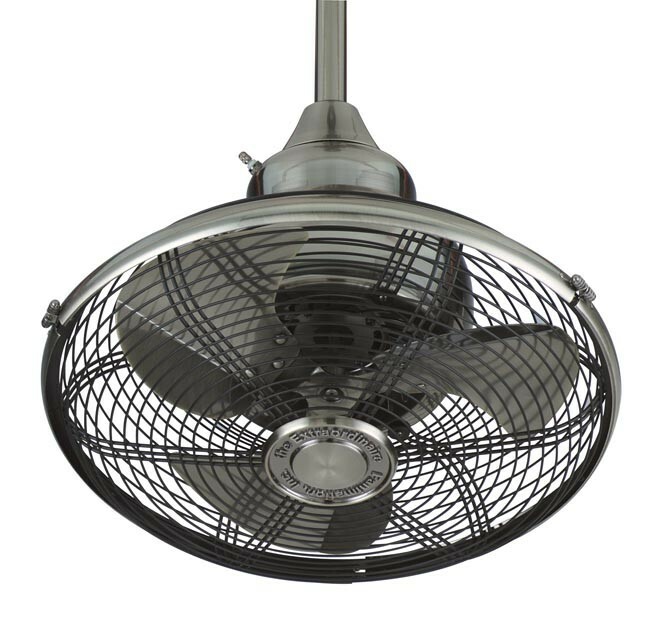 This Fan Can Be Mounted On A Ceiling With Up To A 5n/a Degree Slope And Includes A 6? Downrod. The Extraordinaire Is Also Rated For Dry And Damp Locations And Comes With A Wall Control.